Entering some old data at eBird, I found myself puzzled with one record. I was canoeing the Danube backwaters inside Belgrade, Serbia, on a warm and sunny November day when a Northern Goshawk tried to catch one of two Pygmy Cormorants. The year was 1996 and it must have been quite a sight – if I only could remember it! But no, that sighting is no longer in my head, only on paper. And, now, at eBird. The next memorable hunt came from winter 2006/07. I am not sure of the date, still have to find it in one of those notebooks, but I was some 150 miles south of Belgrade, at the Celijsko Dam, counting Eurasian Coots, many of them grazing the banks, very much like domestic chickens would. Among the birds in the shallows, there was one strange sight. 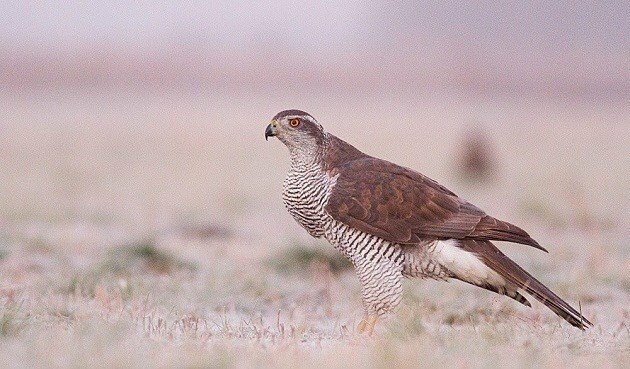 A Goshawk, submerged up to its chest, standing in freezing cold water. What is it doing?? Apparently, just standing there. And not moving. So, we sat in a car and waited for it to show us why it was there. Until we could wait no longer – we had to check the entire dam and count them all, not just those coots. Turning the engine on, approaching for a few more metres… and the Goshawk takes flight. Like some inflatable toy suddenly released of its grip, a black blob pops out the surface – a lifeless Coot. 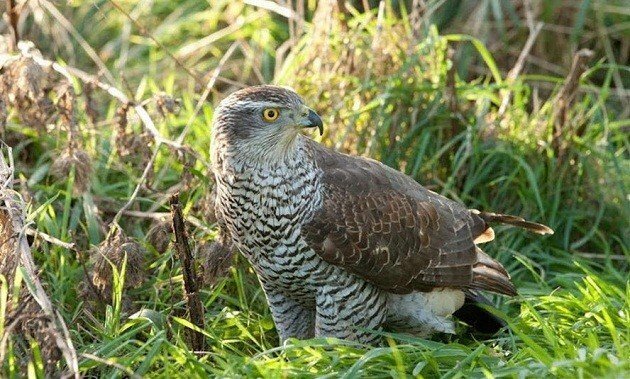 This Goshawk was actually drowning its prey! I know, how could Mike be impressed by the humble Goshawk when presented with a Saker or a pair of Eastern Imperial Eagles? There is something he didn’t consider worthy of a mention: a Goshawk was sitting at the one third of the height of the very same eagle-topped pylon. That puzzles me – who was the first to perch there, an eagle or the hawk? Did the Goshawk have the nerve to land on the same pylon when the eagle was already there? Or did the Imperial Lady came second and the hawk didn’t dare to leave the perch first? My dusty notes say that the eagle sat at the top of the pylon for a good three hours, while we had lunch of chicken paprika goulash, washed down with local wine, but I failed to record who left the pylon first. Yet, it must have been quite a tug of nerves. If I hadn’t written it down back then, the first sighting would no longer exist at all. Until a few days ago, it existed only in my water-wrinkled notebook. And now it and the others are out there, at eBird, like the proverbial truth. If birders are a tribe, as Mark Cocker suggested in his book, they are a part of our tribal memories. What a great post! So glad you are taking the time to record your old sightings on eBird and to share them with us here. I am seeing blank spaces in most places where there are supposed to be pictures on 10,000 birds. This is with Internet Explorer and Firefox. Are there problems with your server? Yep. Same problem here with Chrome.